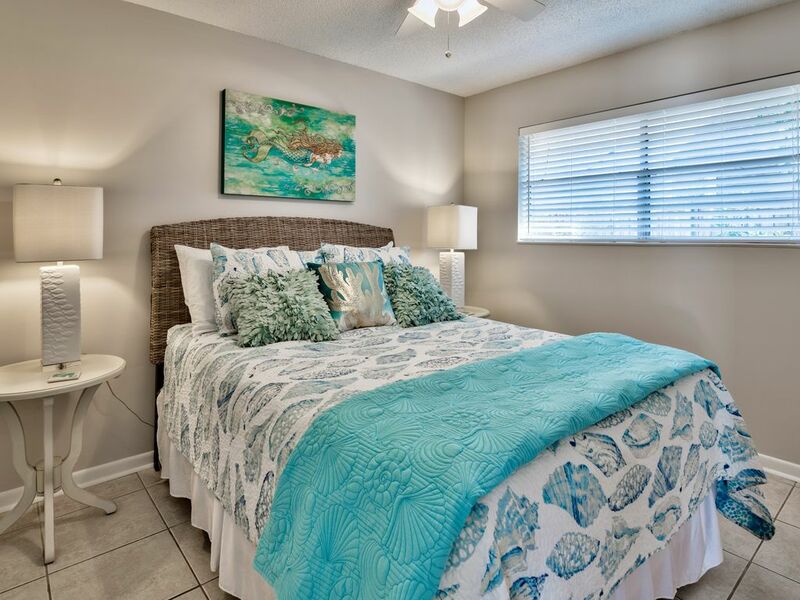 Our Waterhouse condo is designed for comfort and convenience. Our unit is a luxurious three-bedroom, three bath condo featuring a deluxe master suite with a jetted soaking tub, a gourmet kitchen, two guest bedrooms, oversized furnishings, expansive windows to beautiful views, and more. After a day of activity, your WaterHouse home is the perfect setting to relax and breathe in the scented breezes and watch as the sun paints the sky by the rooftop pool. Enjoy grilling out on one of the two grills for our guests. 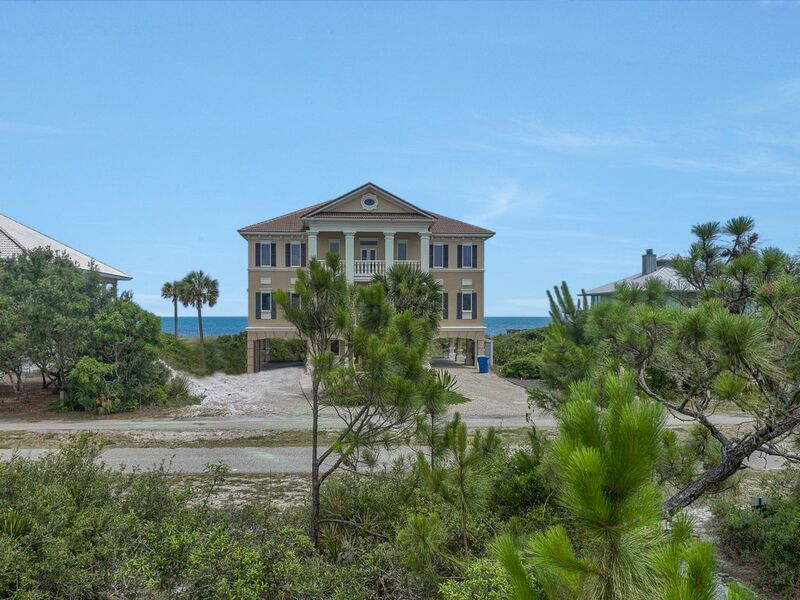 There is private deeded beach access 100 yards from our door! Secrets at Spyglass ocean front condominium. 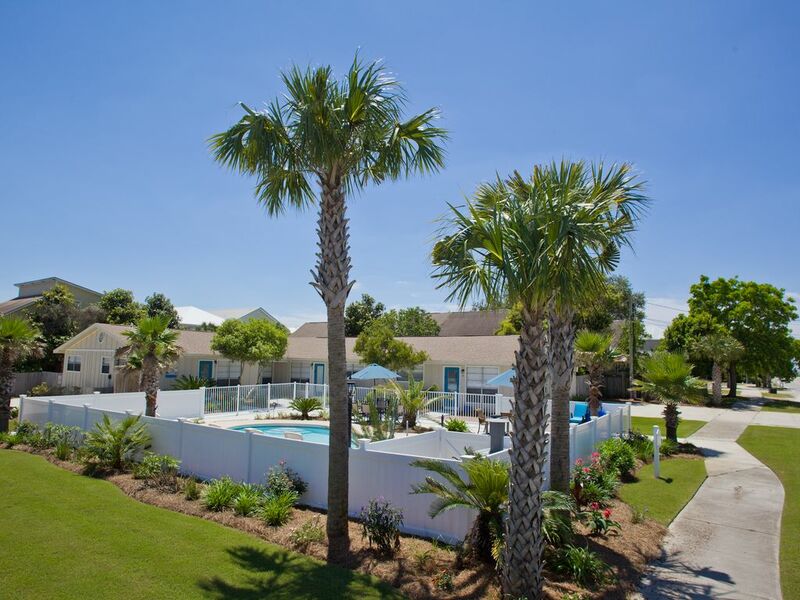 Close to everything that you could want in Gulf Shores. 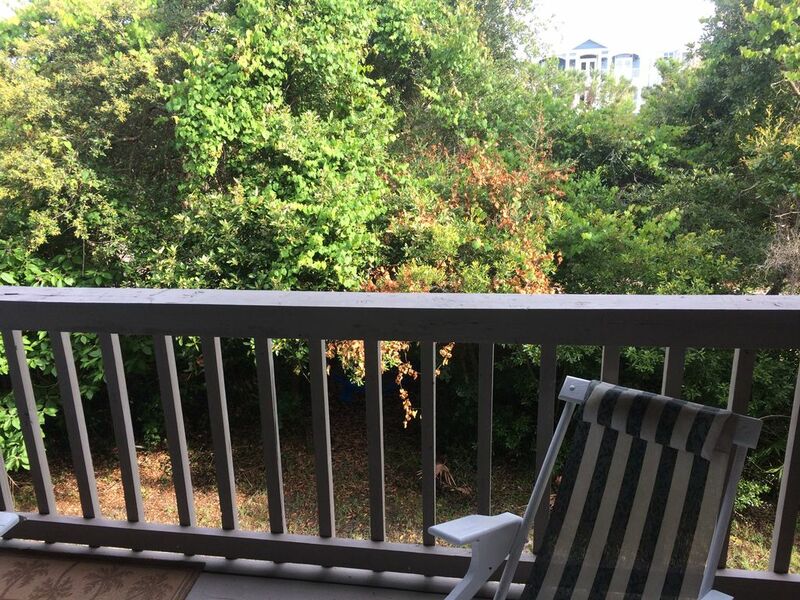 Newly updated 2br/2ba unit. 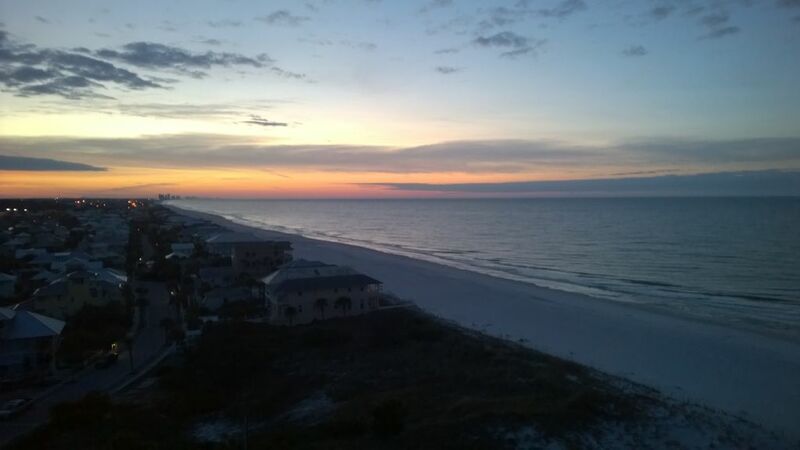 You are steps from the beautiful white sandy beach and the Gulf of Mexico. 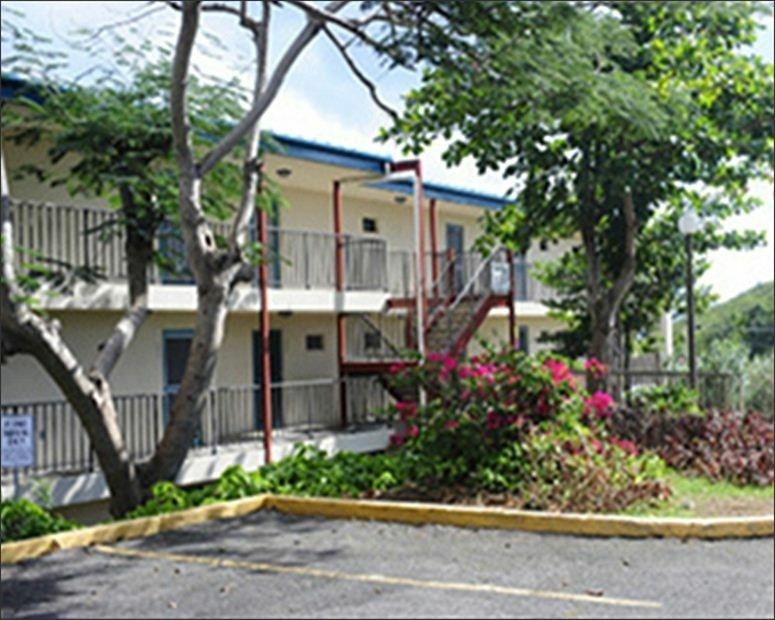 The complex is an 11 unit building located in two stories, Secrets is a one story unit located in the center of the building. 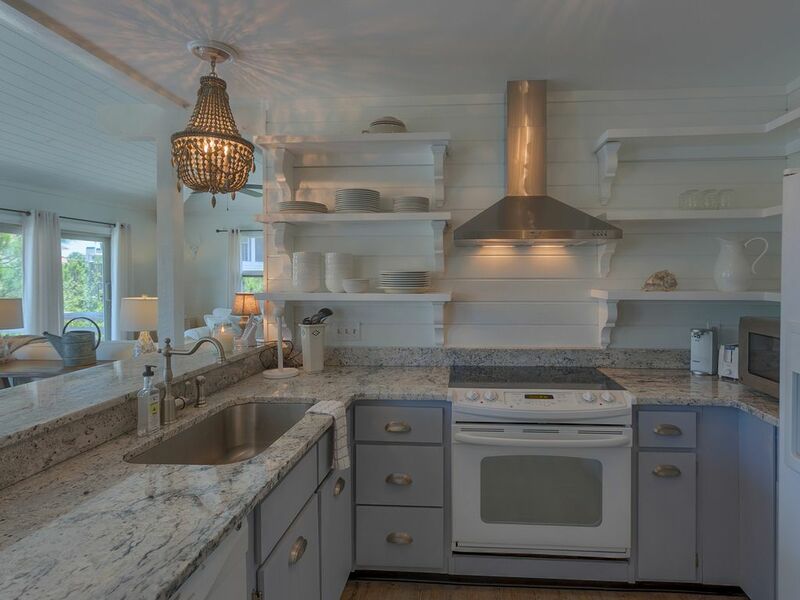 Embrace the unmistakable luxury of this freshly renovated beachfront St. George Plantation home. Boasting all new furnishings, every detail was attended to in order to ensure guests’ comfort and enjoyment, down to hairdryers in every bath. On the second level, a spacious living/dining/kitchen area opens to an expansive deck with access to covered seating and two areas to relax in the sunshine. A wide wall of windows allows the warm sunshine indoors and a gas fireplace is provided to warm the evenings when the air is cool. Stainless appliances and solid counters in the kitchen; vast counter space provides an abundance of room to create special family meals. A separate sitting area and master suite are also located on this level. Four bedrooms and a den with a foosball table can be found on the first level. Multiple TVs/DVD players, Wii with four games and DVD library. Two high chairs and a pack-n-play. 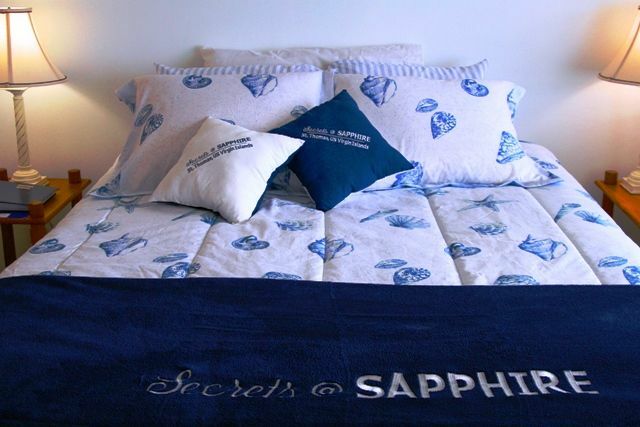 SECRETS at SAPPHIRE! What’s your secret? Shh! 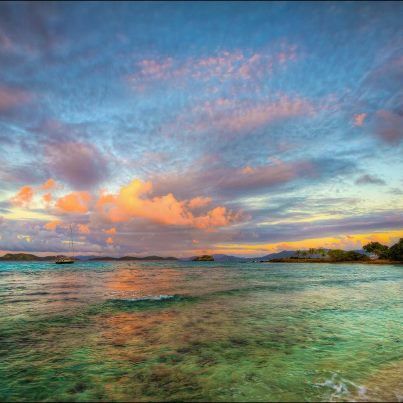 ‘What happens in St. Thomas, Stays in St. Thomas!’ Perfect for your affordable romantic get-a-way or your honeymoon. How about just a SECRET vacation? Join us! 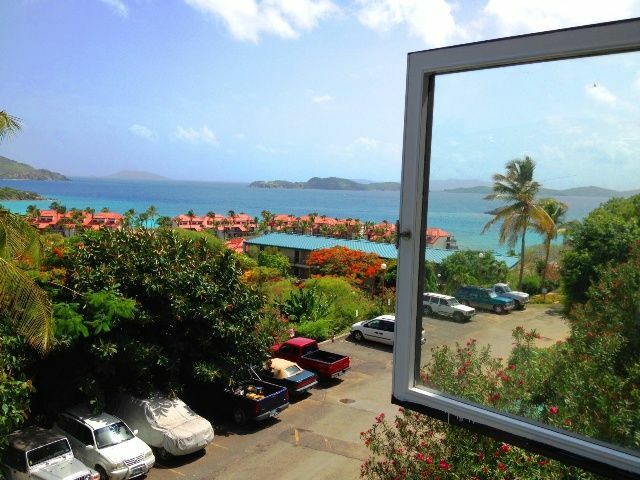 Stay where my family stays on St. Thomas. 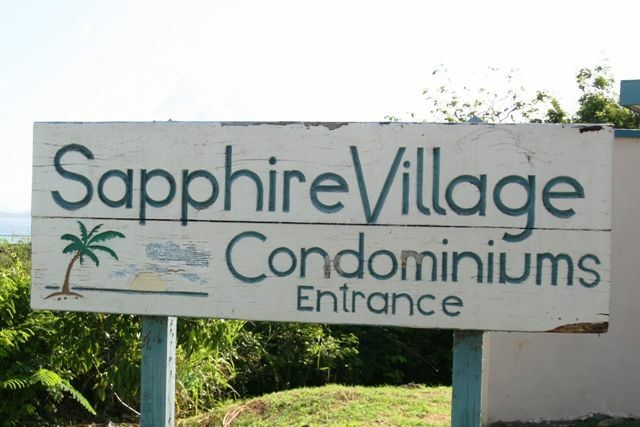 Our condo is located in the beautiful ‘East End’ of the island above Sapphire Beach. On top of the hill is Sapphire Village. We have the upper pool right out the front door, the lower pool, bar and restaurant, down the path, and of course, the beautiful sands of Sapphire Beach and teal Caribbean waters a short walk further. 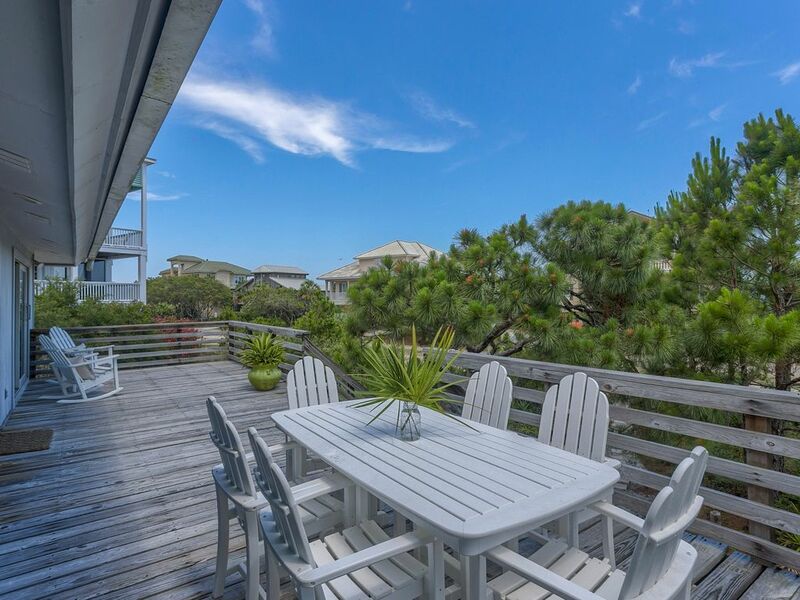 Gulf front, 2 King BR 2.5 Baths, sleeps 4-6, no extra fees! 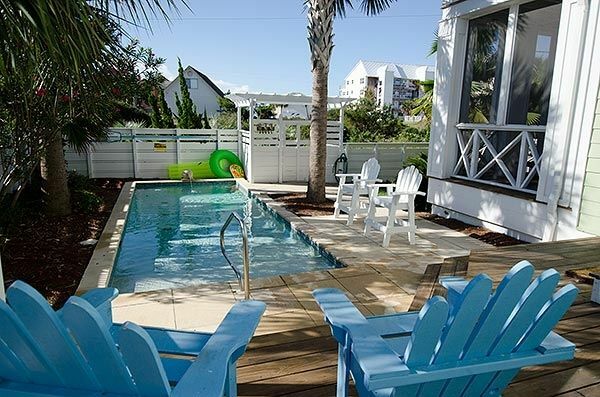 Once you stay at Pinnacle Port (PP) resort, you’ll want to come back again and again. Pinnacle Port is located away from it all mid-way between Destin and Panama City – at the quiet, western-most edge of Panama City Beach (near the eastern edge of the Beaches of South Walton on highway 30A ). Nestled between the unspoiled Saint Helen state park beach and the private beach-home community of Carillon, Pinnacle Port resort is protected to the north by the picturesque inlet lake (Lake Powell), making Pinnacle Port resort one of the most secluded and quietest ocean-front resorts on the Panhandle. Our 2 BR, 2.5 BA home is on the ninth and tenth floor (townhome with two bedrooms upstairs), at the far end of the best wing of the PP tower building. 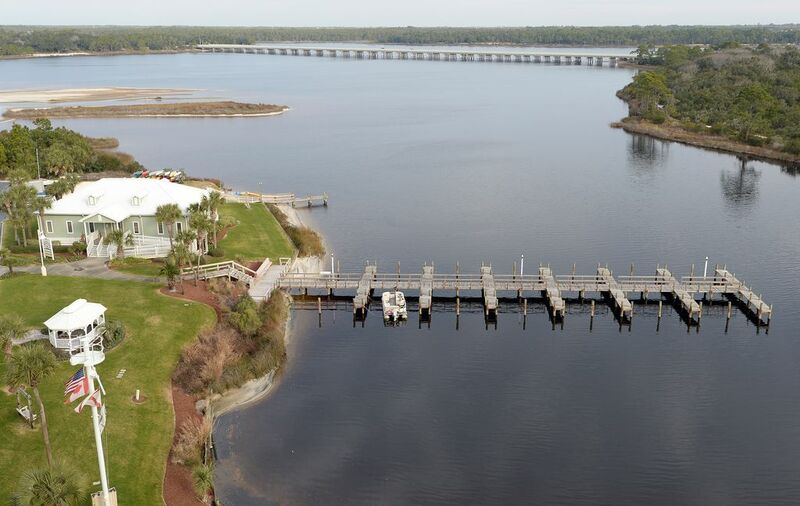 Its unobstructed views of the Gulf, Lake Powell, and the beautiful multi-million-dollar homes in the private Carillon community are breathtaking. 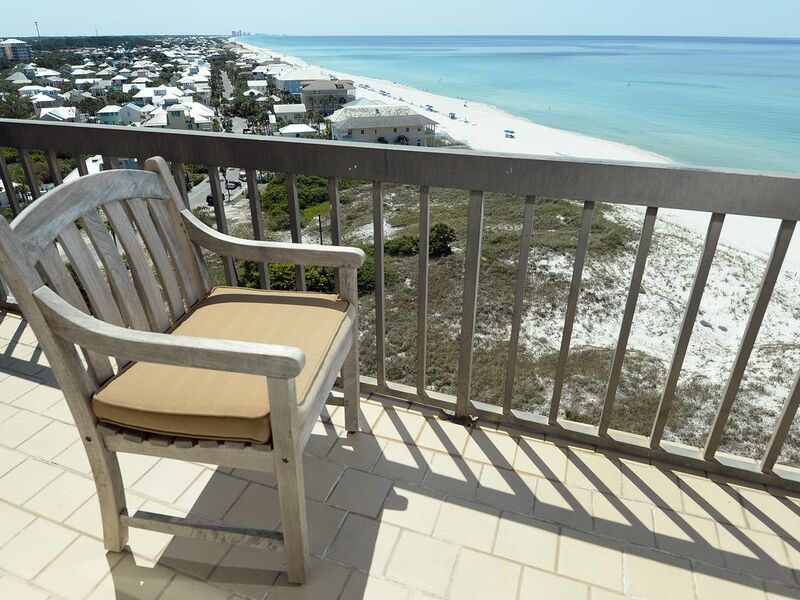 The unique two-balcony floor plan, which is not available in the mid-rise buildings, or in the 1 BR units in the tower, provides for 13′ x 5′ ocean-front and lake-front balconies on opposite sides of the condo, each with premium teak chairs and tables. Our unit has two Serta premium king-sized beds. The lake-side bedroom has a Serta Hotel Trump Select firm king mattress. The master king bedroom also has a Serta Perfect Sleeper Elite Smart Surface Redding high-end, firm mattress – this is not a sofa bed. A quick ride down the elevator and a walk down a short hall, and you then step off into the sand. 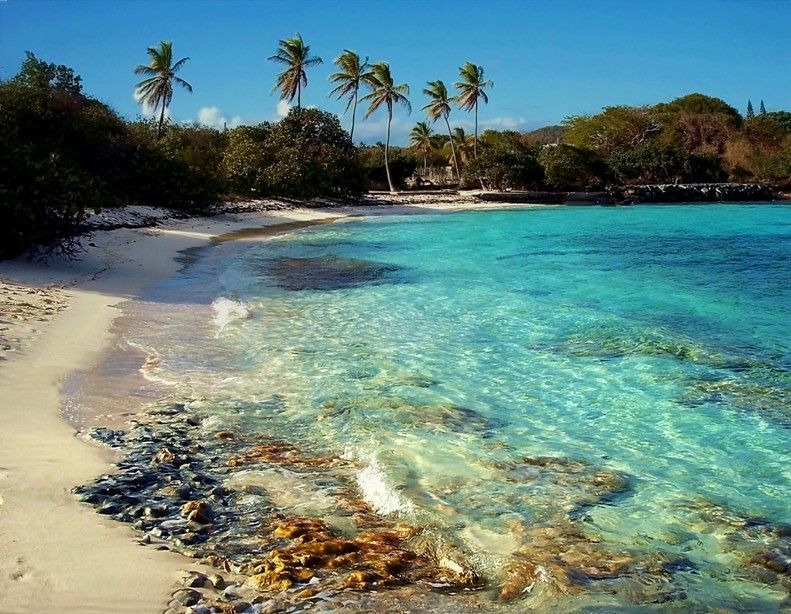 At Pinnacle Port, you are on the beach and a few seconds to the water. ONE OF A KIND ……Unique Cabana style property. 4 individual cabanas with your own tropical courtyard, beautiful pool , patio table and chairs ,and gas grill. Perfect entertaining and hanging out area for your whole group. 3 Cabanas have 2 bedrooms with 1 bath. 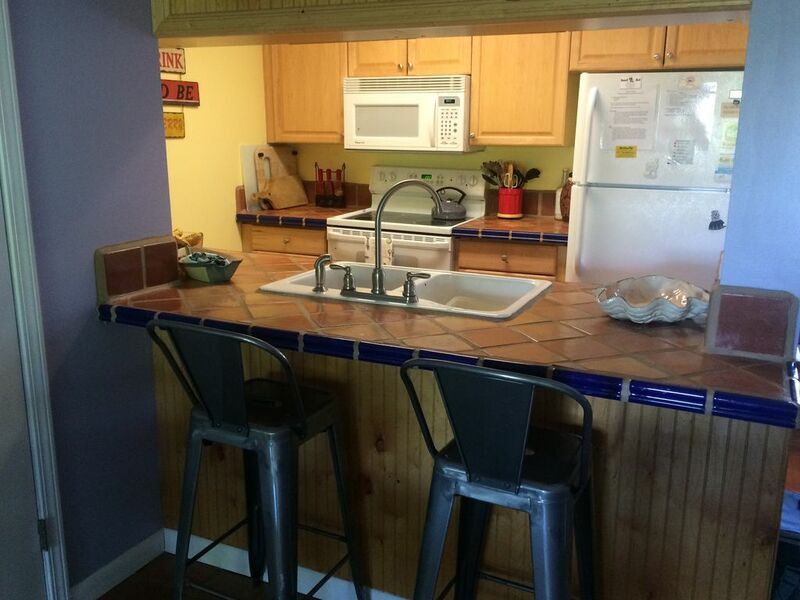 Each Cabana has it’s own fully furnished kitchen, living area, bathroom with washer and dryer. 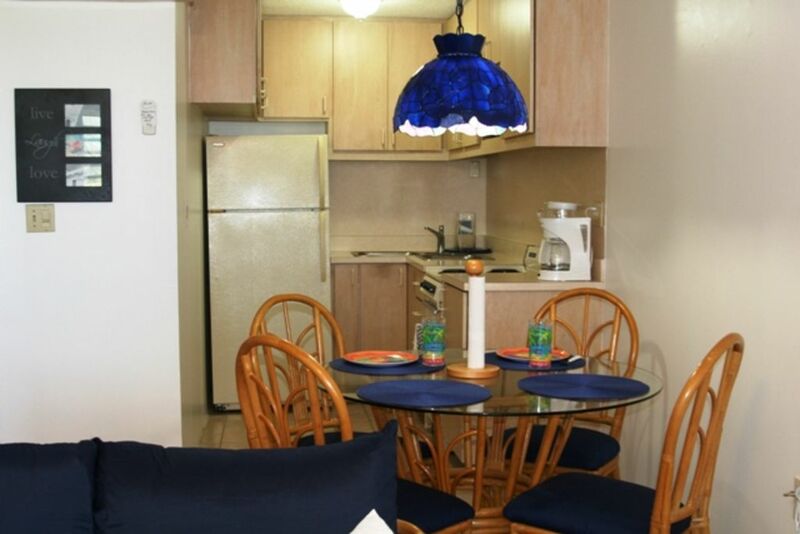 Each unit is beautifully furnished and has all the comforts of home. All on one level. No stairs to worry about with the little ones or the senior citizens. 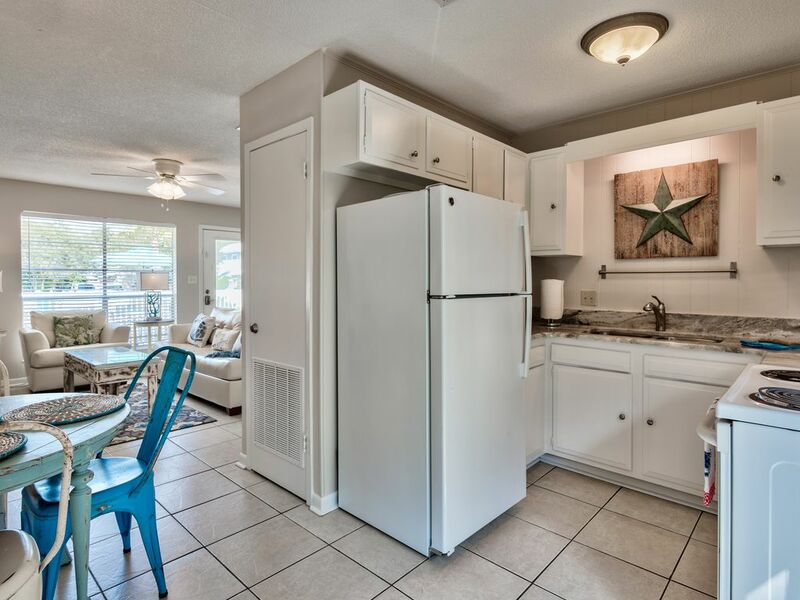 This lovely unit in Seagrove Beach is fresh and ready for your stay! It was just updated in May 2016. 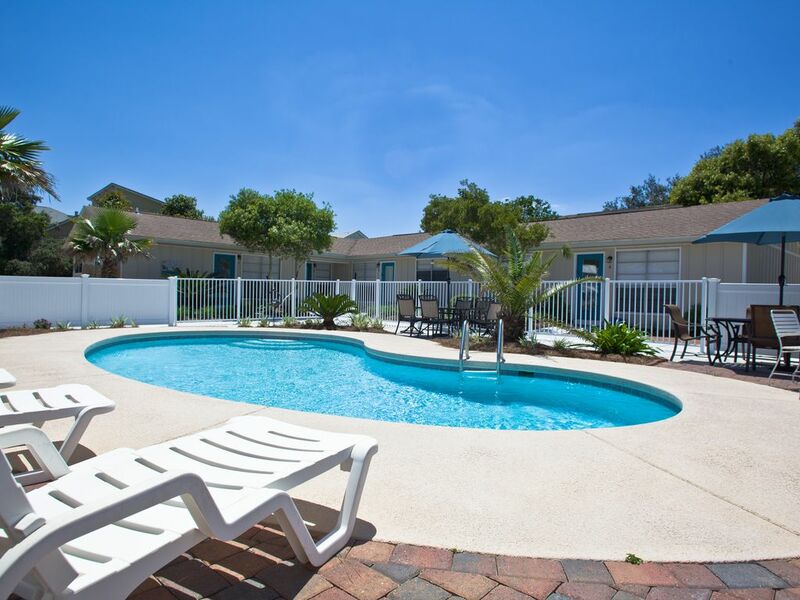 It is one of the few units that only requires you to walk across the street to get to the beach and just a short stroll to the pool as well! 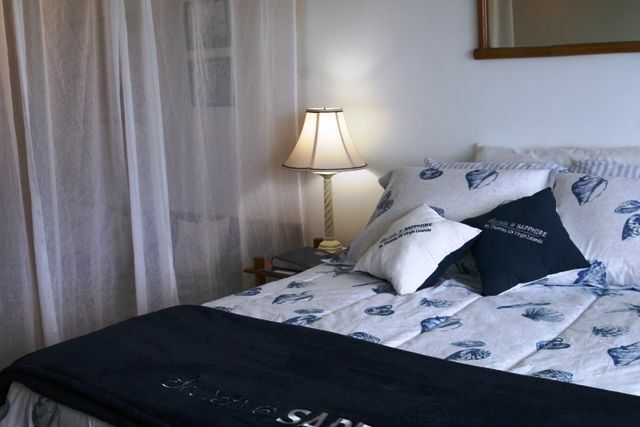 The cozy furnishings and great location will have you wishing you could stay for weeks. 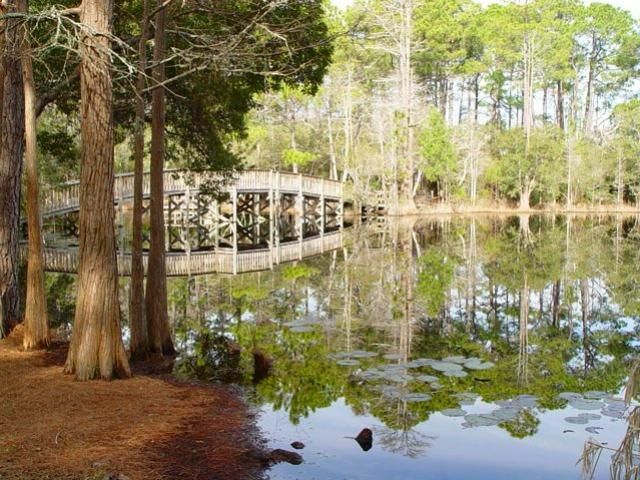 Cassine Garden has two beautiful community pools, a nature and fitness trail, tennis courts, a basketball court, a lovely pond and a private picnic area. 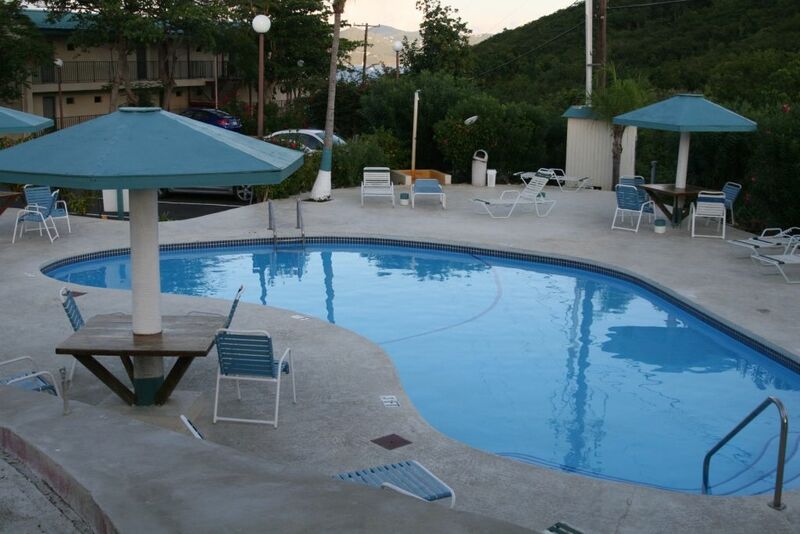 The community is very quiet and serene- perfect for a week long vacation or a quick weekend get-away! The downstairs features 2 bedrooms and a full bathroom. 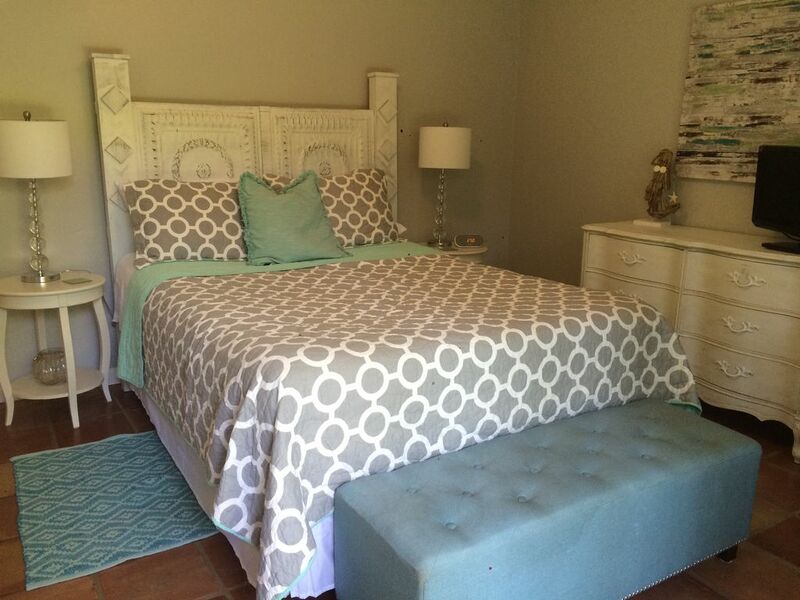 The master bedroom has a queen size bed with a pillowtop mattress and new linens. The room has sliding glass doors that open up to the lower deck. The master bedroom also has a TV with DVD player and ceiling fan. It opens to a private patio equiped with chairs for relaxing. 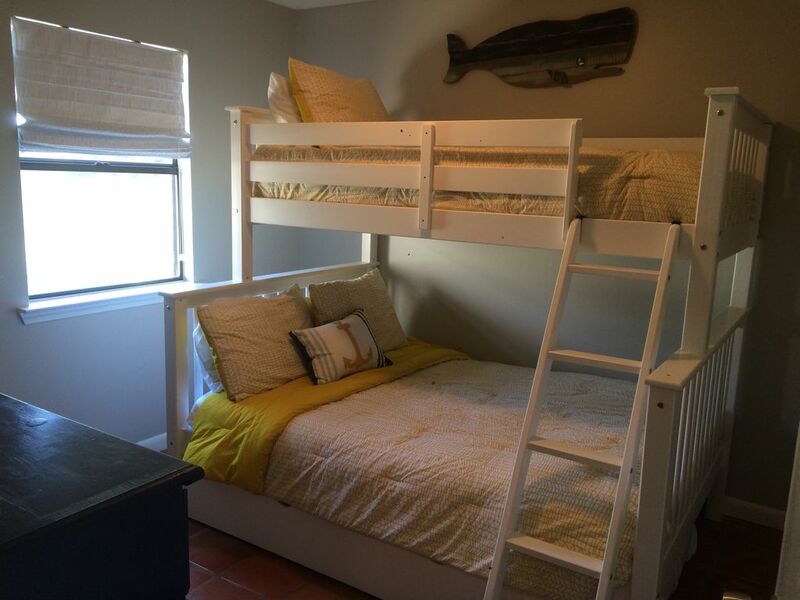 The 2nd bedroom has bunk beds. The lower bunk is full size and the top bunk is a twin. There is also a pull-out trundle should you need more room. In the bunk room you will also find a pack-n-play with linens for our young guests. 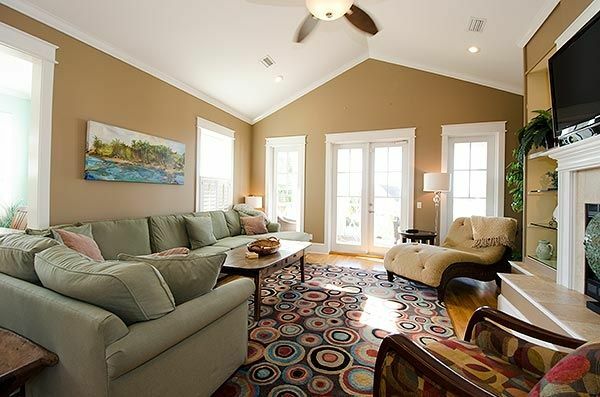 Upstairs you will find a comfy couch and oversized Crate & Barrel chair with ottoman in the living area. The High Def television, web enabled Blu-Ray/DVD player has a complimentary Netflix subscription for endless movie options for your family! Lots of board games and a few toddler toys are also upstairs. The sliding glass doors on the second level open up to a covered deck- a great place to read a book or enjoy a glass of wine. The dining area has a dining table with four chairs. There are also 2 bar stools at the kitchen bar. A small desk is available for anyone needing to do a little work. The kitchen is fully stocked with all the tools you need to prepare anything from a snack to a family feast! There is also a half bathroom upstairs. 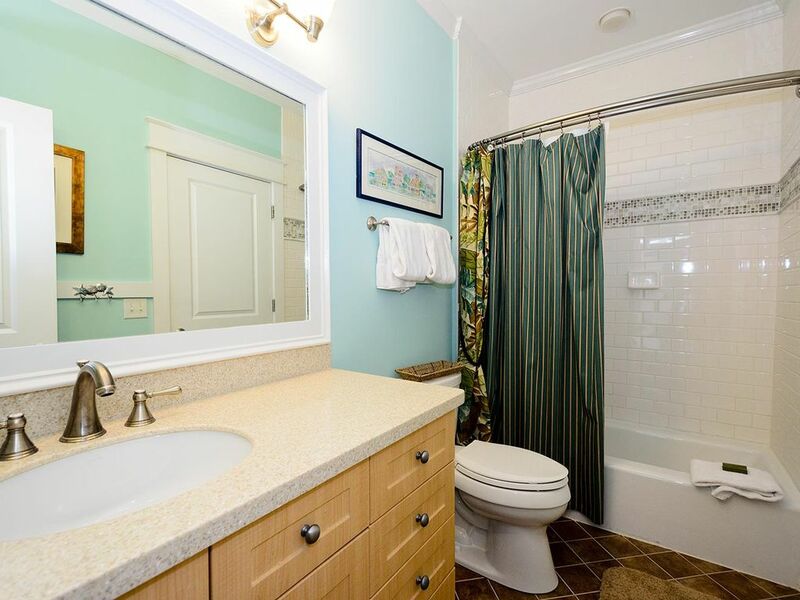 The entire condo has Saltillo tile throughout and features cheerful colors. Framed photographs of local landmarks are displayed throughout the unit. Washing Machine and dryer is located in laundry room just off the master bedroom downstairs. 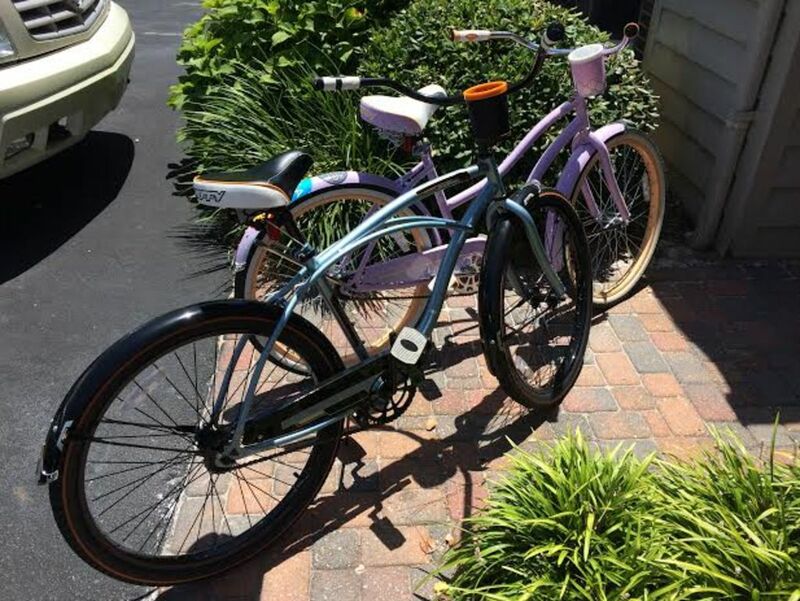 The rental includes free Wi-Fi usage, Netflix, 2 beach cruiser bicycles (over a $100 savings if you rent), beach and pool toys, pack-n-play, a charcoal grill, and board games for the entire family! 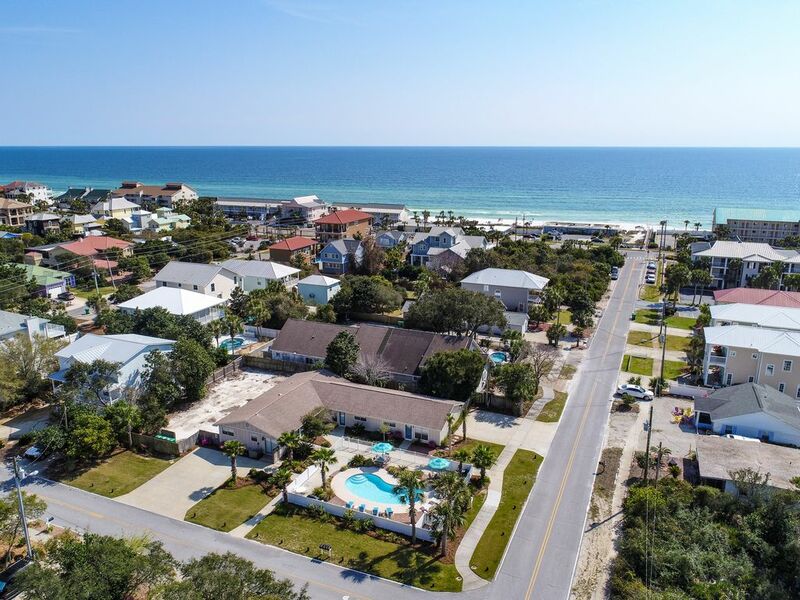 It is within walking distance to Mi Casita Mexican, 30A outlet (beach supplies), Perfect Pig, Cafe 30-A, Brozini’s Pizza, Goatfeathers Fish Market, PopStop Gourmet Popsicles and Coffee, The Donut Hut, Urgent Care and Andy’s Nails. And, of course, the beautiful beach is a short walk across the street! What more could you ask for!?! 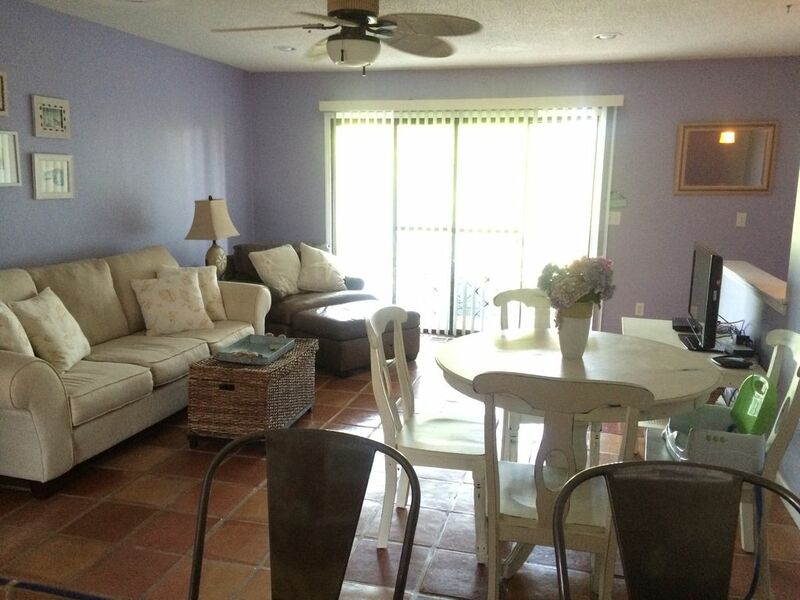 3 Bed/2 Bath, Across From The Beach! Book the week of April 23-30 or May 7-14 and receive the Winter rate! That’s a total savings of over $500! Can’t stay a full week? We’ll drop the 7 night minimum for a 3 night minimum stay at the Spring rate. Applies to new reservations only and cannot be combined with other specials. AT LAST! 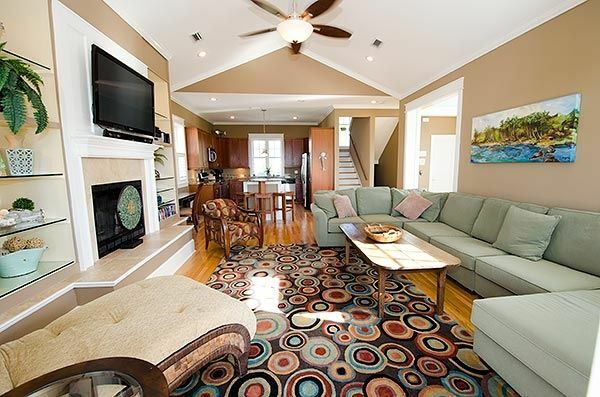 A recently remodeled dream home from our family to yours! 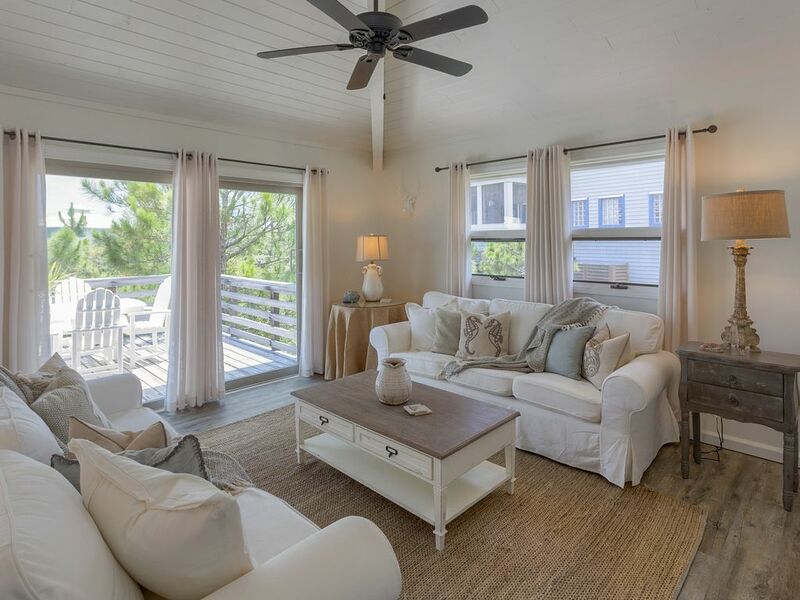 Polished and sophisticated, this 3BR/2BA beach beauty indulges you in luxury and comfort with quick and easy access to the white sand beaches of St. George Island. 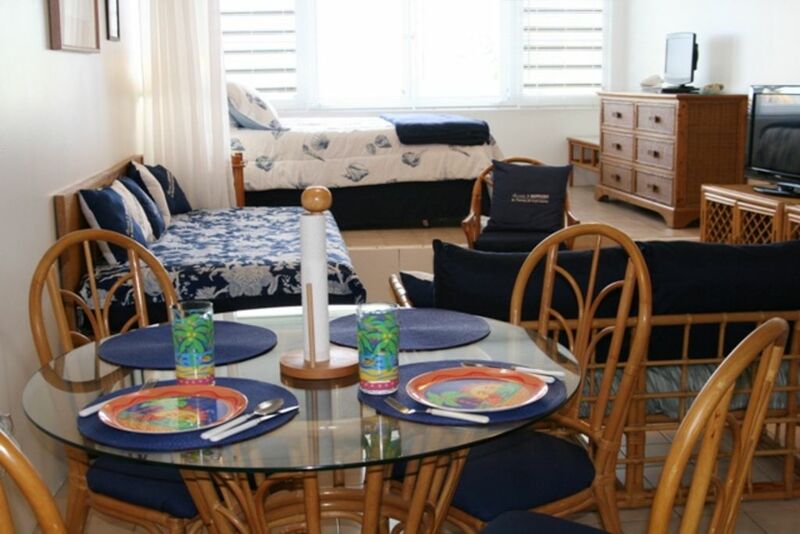 Situated inside the gated community of the St. George Plantation, you will find yourself immersed in the beauty of the natural vegetation and lulled by the soft hues of this comfortable and inviting beach cottage. 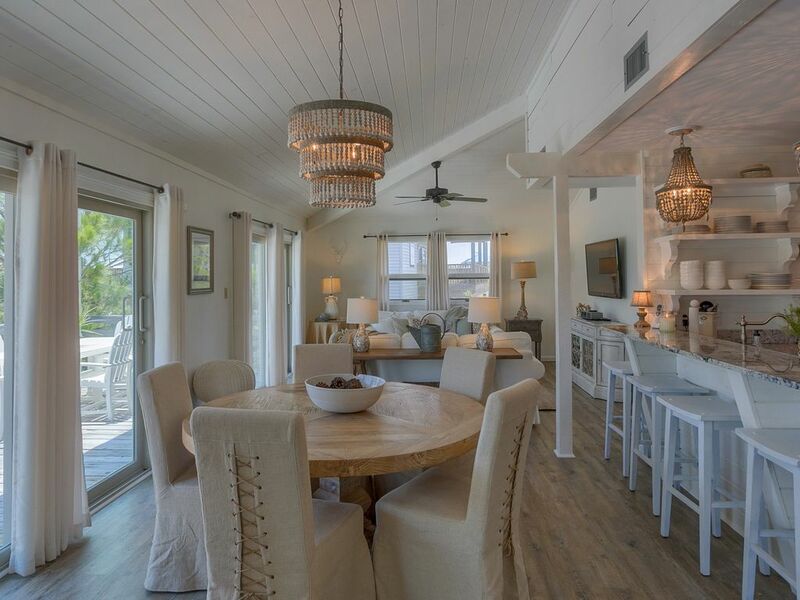 The first level houses the main living area with open kitchen, living and dining spaces and 3 large, sliding glass doors which open onto a spacious and furnished sundeck looking out toward sparkling Gulf waters. 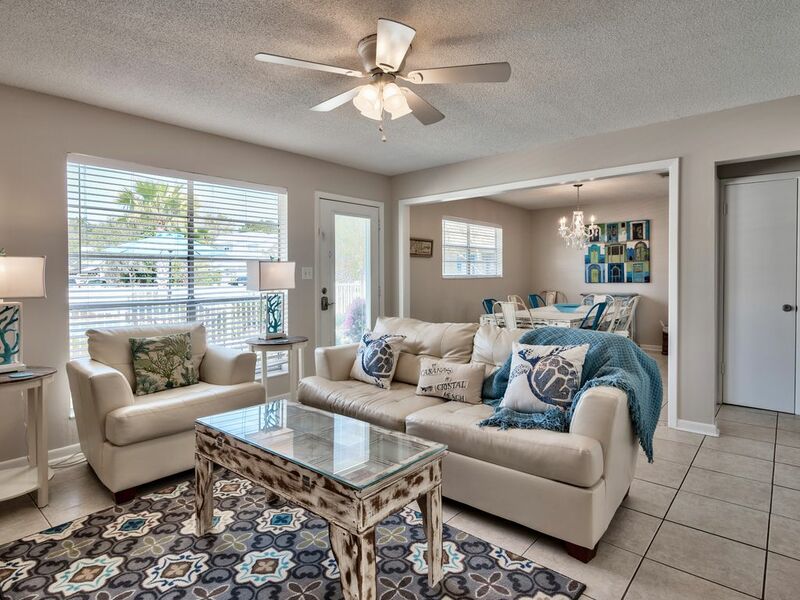 The living room offers 2 large sofas, inviting you to sink in and relax after a long day at the beach or to enjoy a movie with family on the 50’ TV w/ DVD player. A Bose stereo streams your choice of music and vaulted ceilings add to the airiness of the space. The dining table seats up to 8, with additional seating for 4 at the breakfast bar. A nearby writing desk is the perfect location to setup a laptop or to simply journal the days activities and beach memories….don’t forget to sign our guest book! 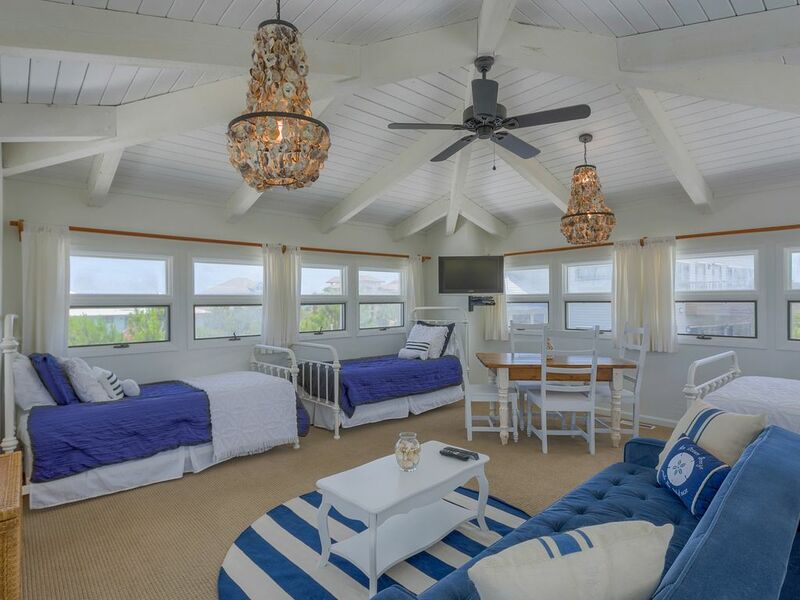 Just beyond the dining area is a room dedicated to leisure and doubles as an excellent reading nook or game space….a comfortable spot for the kiddos to begin a board game as lunch or dinner is prepared nearby. 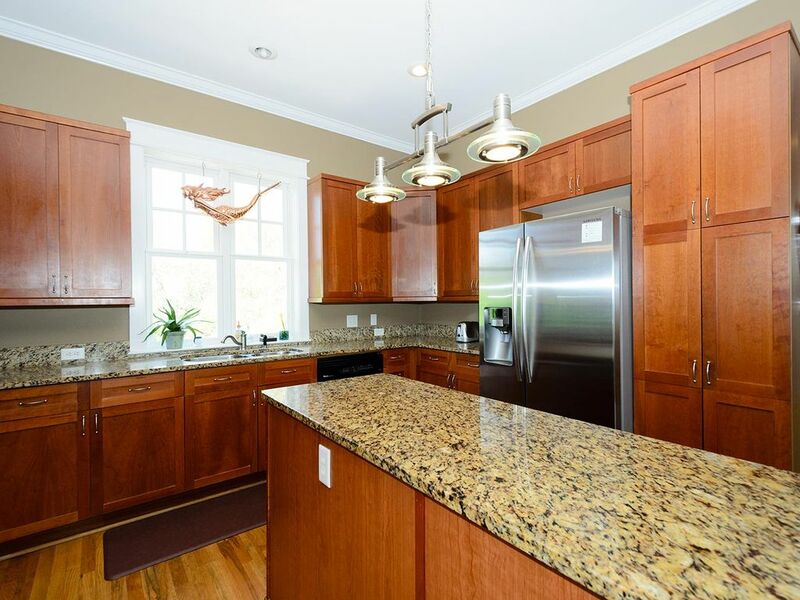 The beautifully designed kitchen boasts granite countertops and a large, stainless steel sink. Upgraded appliances, a fully stocked kitchen and an open-shelving concept all combine to make an enjoyable cooking experience while a convenient wet bar adds to the ease of cocktail hour. 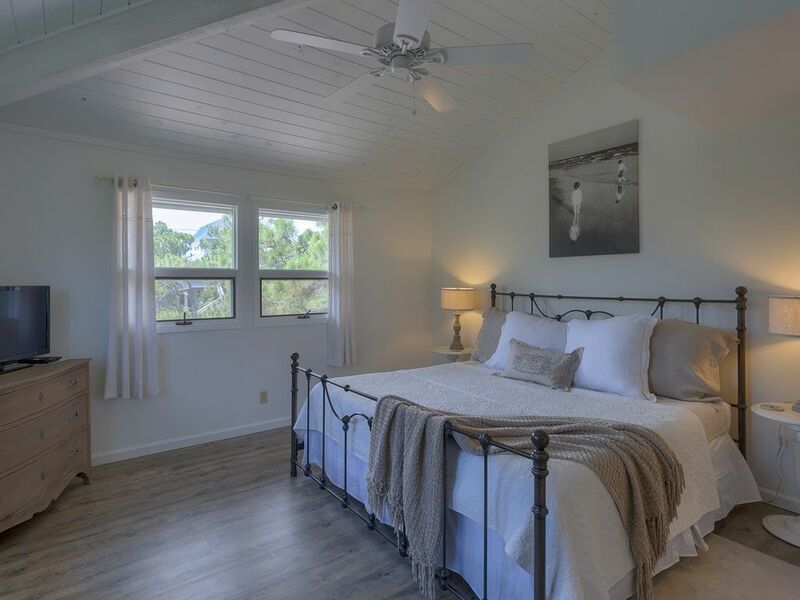 Just past the main living area are 2 inviting master suites each with large, walk-in closets, flat screen TVs w/ DVD players and luxury cotton bedding. 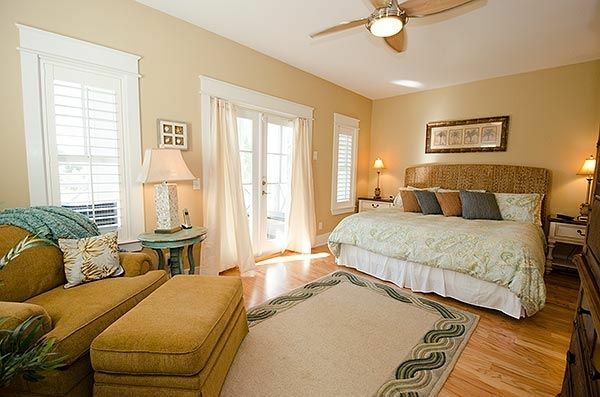 The first spacious Master suite offers a King-sized bed and private bathroom with separate vanity area. 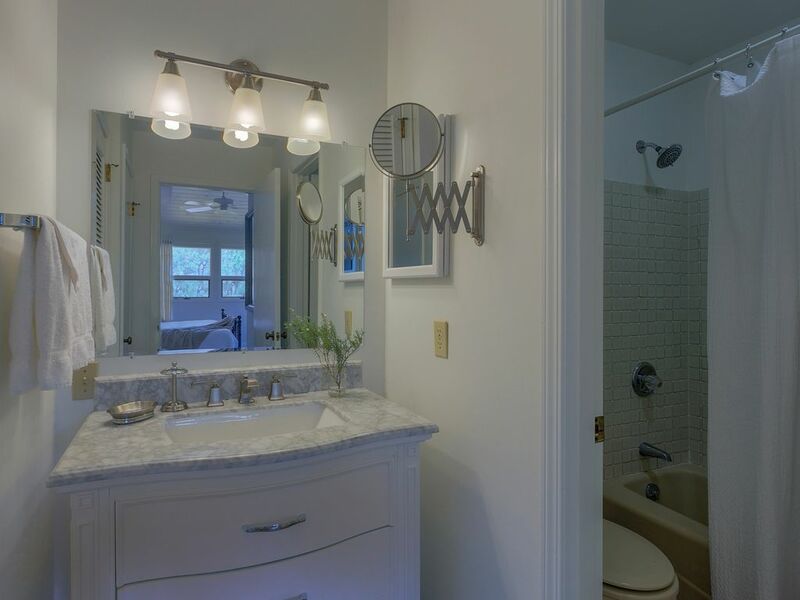 The second Master suite has a comfortable Queen-sized bed and bathroom that opens from either the bedroom or the hallway for added convenience, also with a separate vanity area. 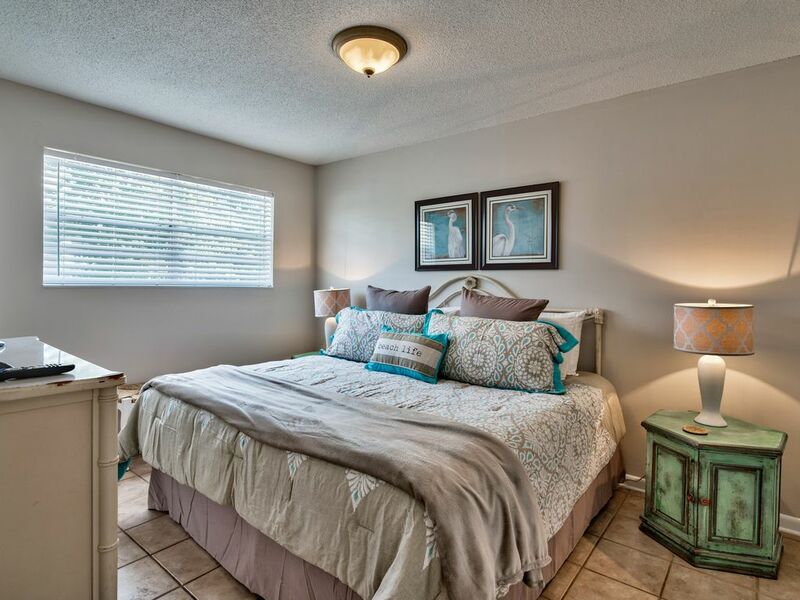 Both bedrooms are equipped with ceiling fans for your comfort. The top floor not only offers a 360 degree, panoramic view of the Gulf and lush vegetation, but is also an enjoyable space for children, teenagers or a small family. 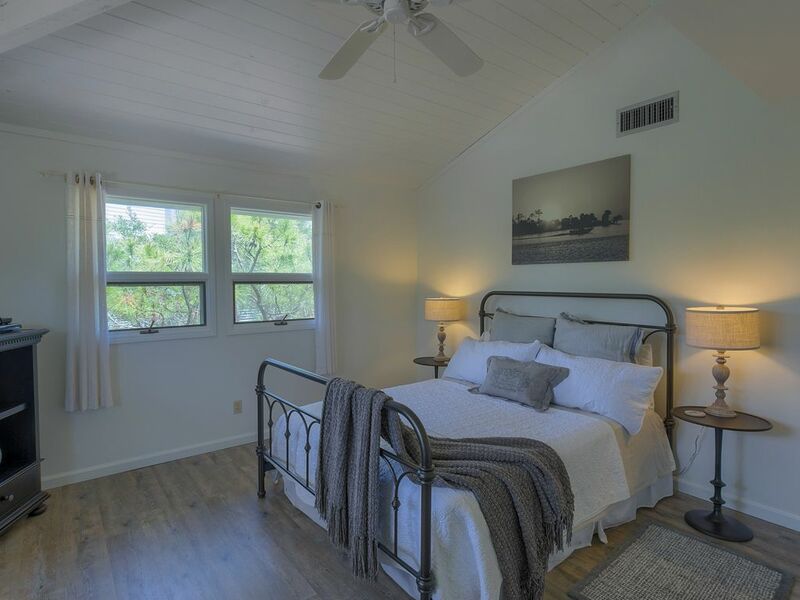 Two single beds, 1 double and a soft-to-the-touch single velvet futon allows for plenty of sleeping accommodations while a game table and flat screen TV w/ DVD player can occupy the senses as nightfall approaches. 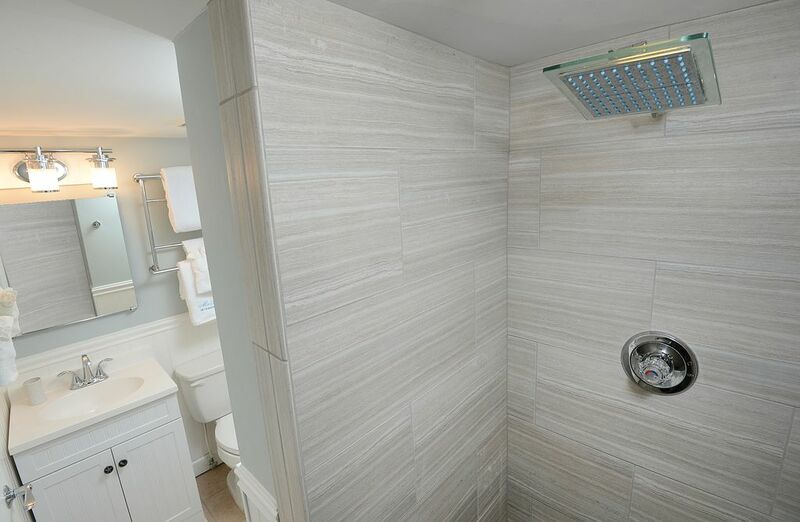 For further convenience, you will find a hot/cold, enclosed outdoor shower to rinse off the salt and sand after a long day spent frolicking at the beach, as well as a fish cleaning table to prepare your catch of the day. 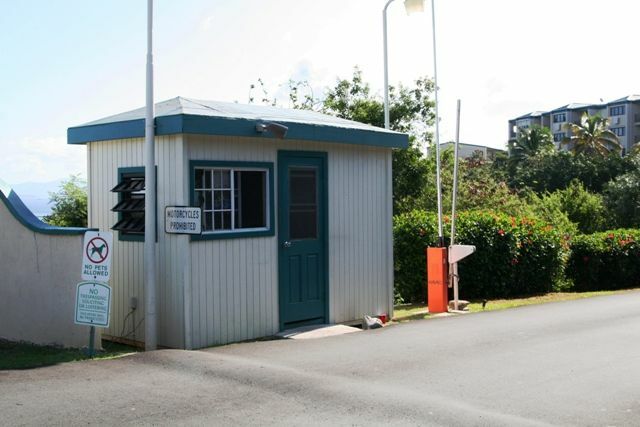 Under-house parking is available for up to 2 vehicles with an oversized parking area on the north side of the .5 acre property for boats or additional vehicles. 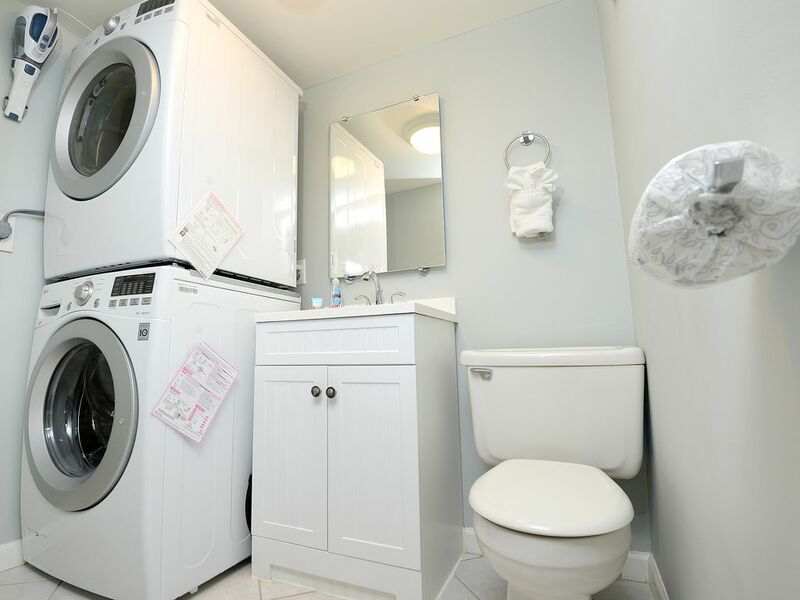 A full size washer and dryer can be found in the ground-level storage room. 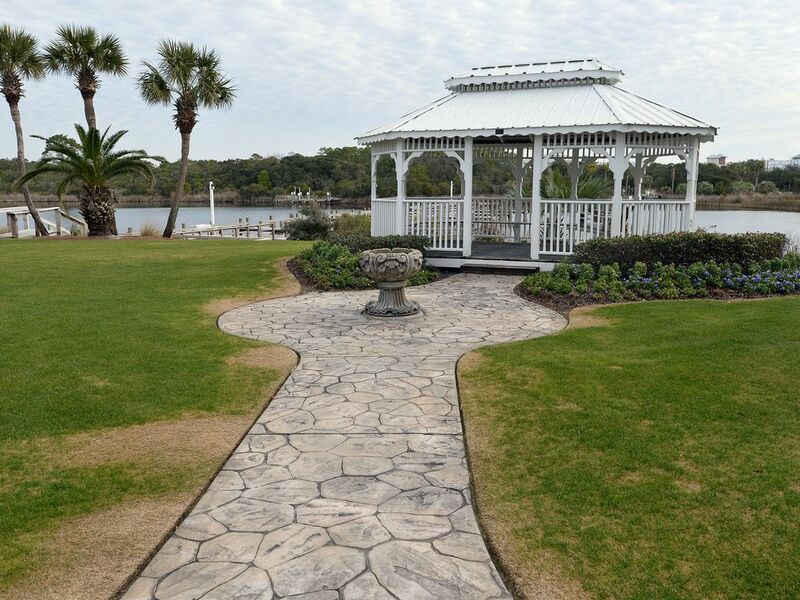 The community beach boardwalk is easily accessible, just a few steps down the residential street and The Plantation Clubhouse is just a short stroll from our home (only 1 street over!). This amazing state-of-the-art Clubhouse offers amenities that include a fitness center, tennis court and Olympic-sized community POOL, all available to our guests. 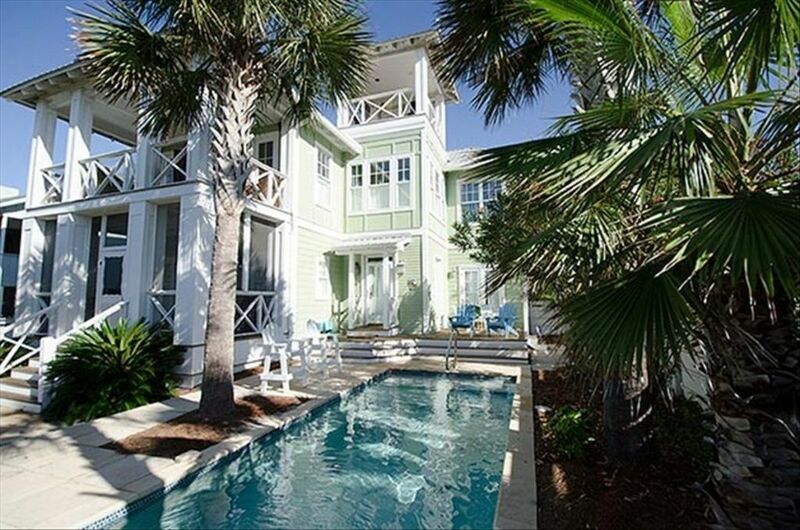 We welcome you and your family & friends to share in our beach home, At Last! 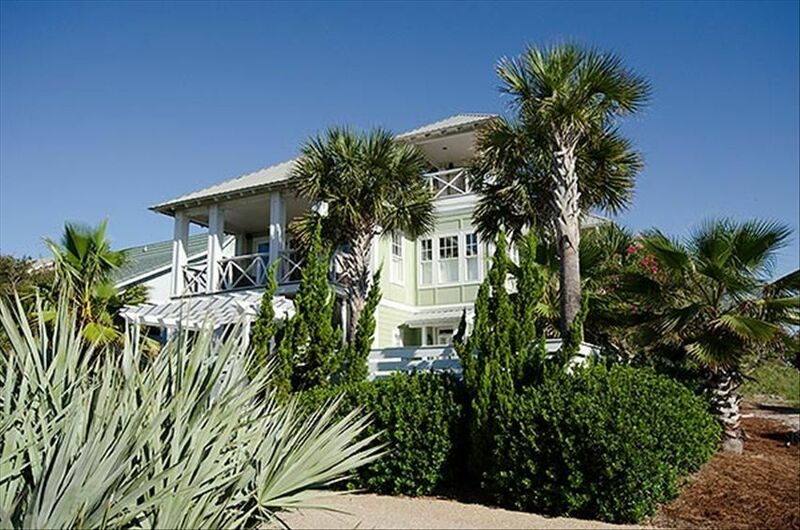 Twenty Three Palms, is a beach oasis South of famous Scenic Hwy 30A. Our beach treasure is topped off with a tower room where you will be able sit, relax and enjoy the gentle breezes and breathtaking views of the gulf, nearby Eastern Lake, as well as sunsets, the moon and the stars under an sanctuary setting with 23 beautiful palm trees surrounding the pool and house. 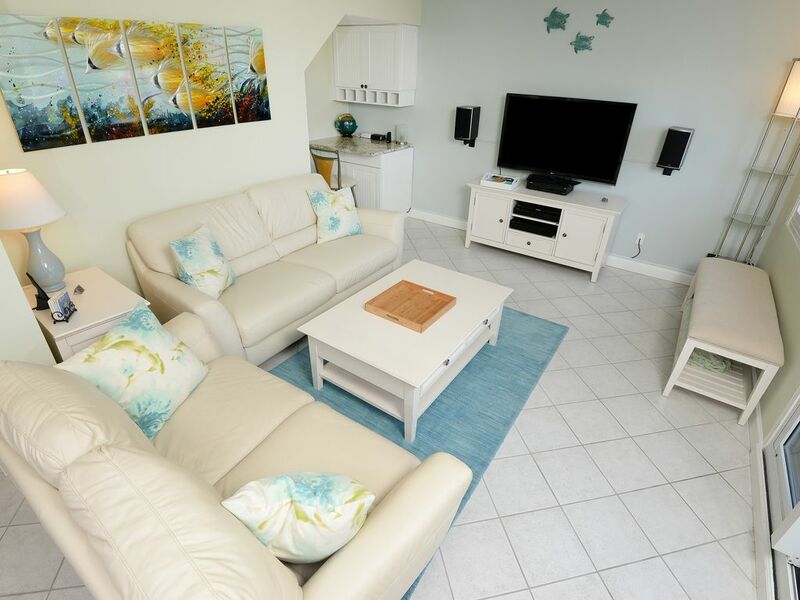 Our elegant beach home is designed to accommodate your family and friends in a Jimmy Buffet style audio and video state of the art setting for pure comfort. 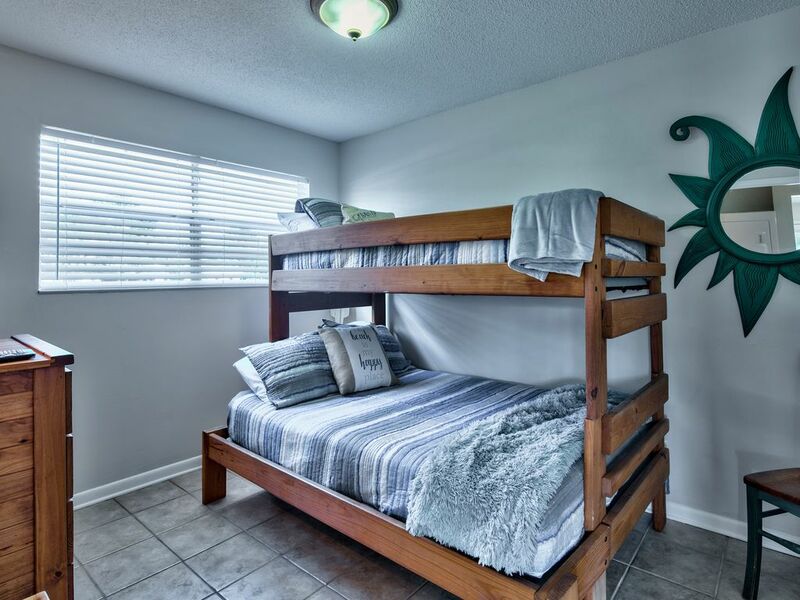 You will find a large grand master suite plus two master guests / bunk bed children’s rooms on the first floor, while the second floor features another master bedroom and the main living area which is very open and inviting with ample seating for everyone. 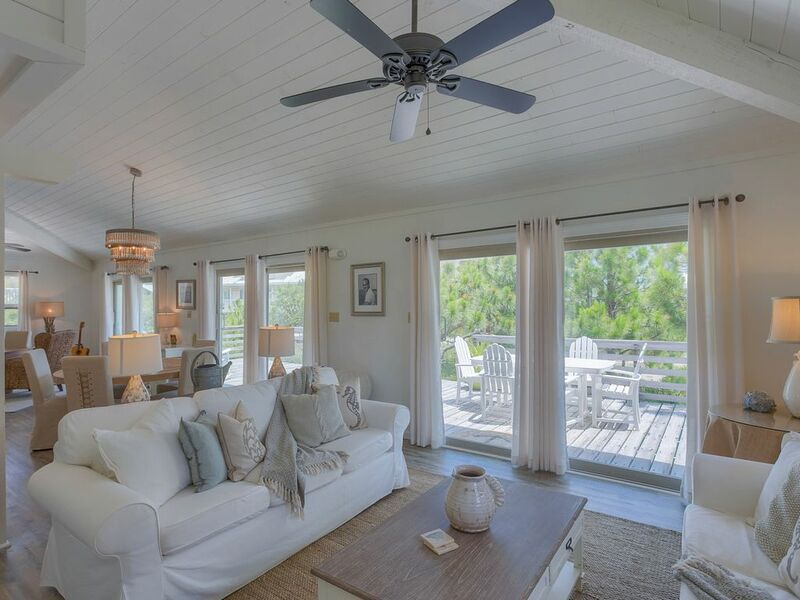 The numerous windows and large porches with comfortable seating provide wonderful views of the gulf, beach and waves from inside and out. 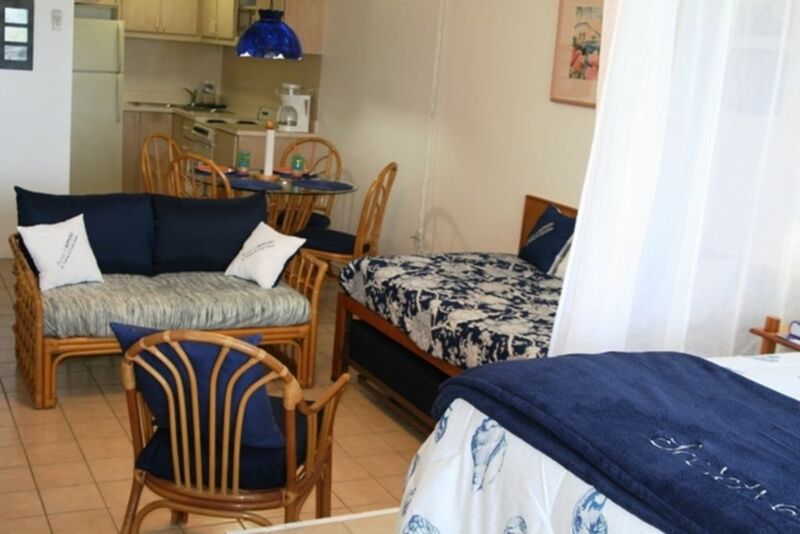 All of the bedrooms and the great room have HD plasma or flat screen TV’s with DVD. 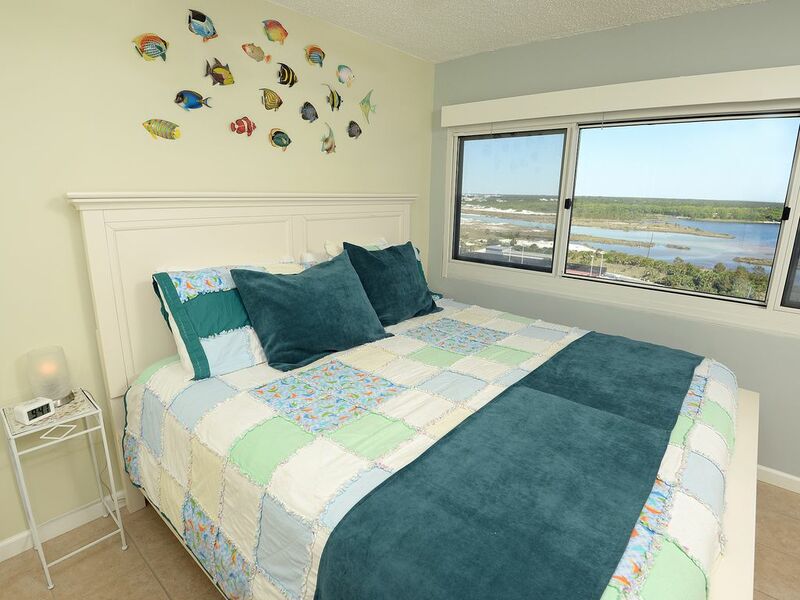 Access to the beach and the natural tidal basin off Eastern Lake is PERFECT for small children and adults alike and only 3 minutes from driveway. 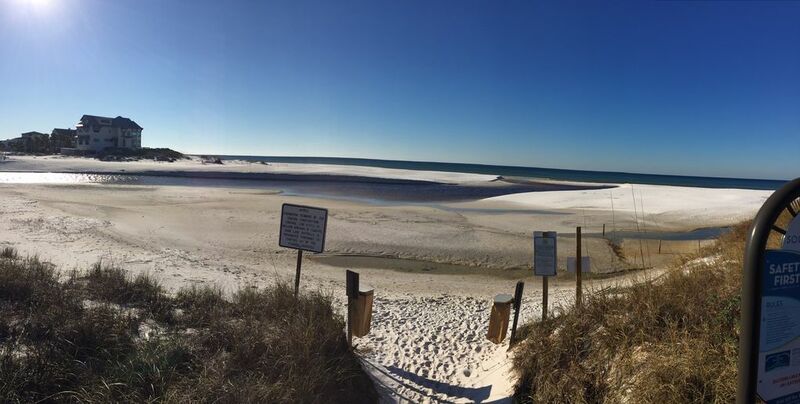 This is one of the prettiest locations in South Walton and family after family have said so. 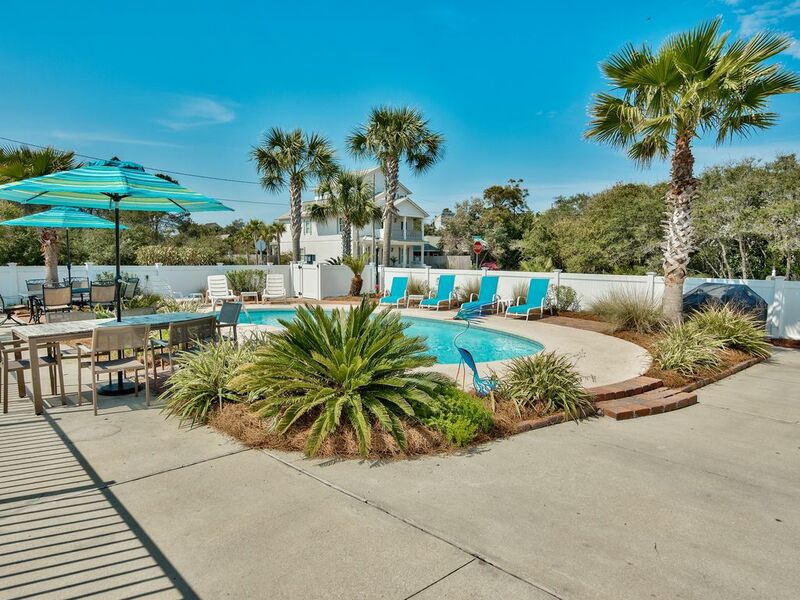 When you are not at the beach, the beautifully landscaped yard with fenced-in courtyard, private pool, deck and patio provides the perfect place for a “happy hour” setting where everyone can gather among shady palms. Listen to your favorite music from 4 outdoor speakers on 2nd and 3rd floor verandas. 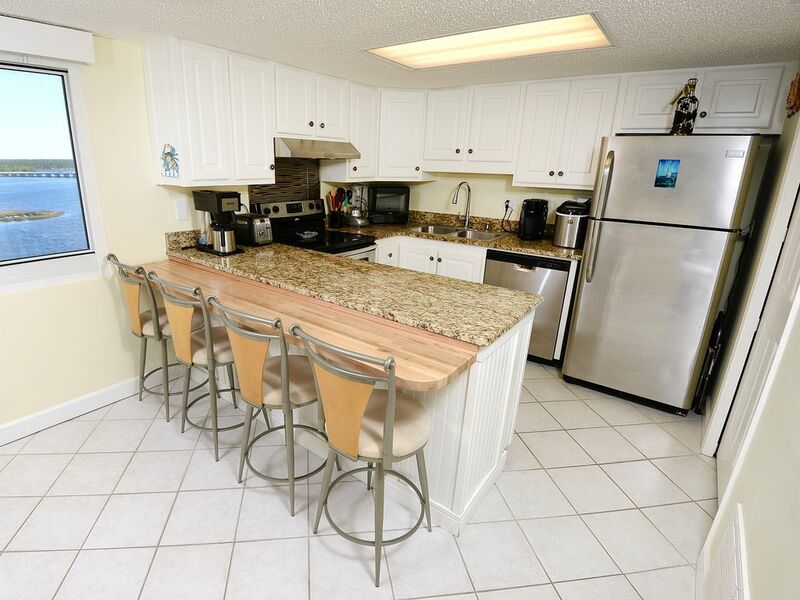 A gas grill and FULLY equipped kitchen/bar area just up from the pool and lower screened porch makes outdoor dining easy. Enjoy nearby shops, restaurants, bike trails, golf and all that SoWal has to offer from this central location in a quiet, safe cove. Treasured memories await you. Our goal is to exceed your expectations and bring you back as Family each year. Peace, harmony and spiritual re-growth await you and those close to your heart. 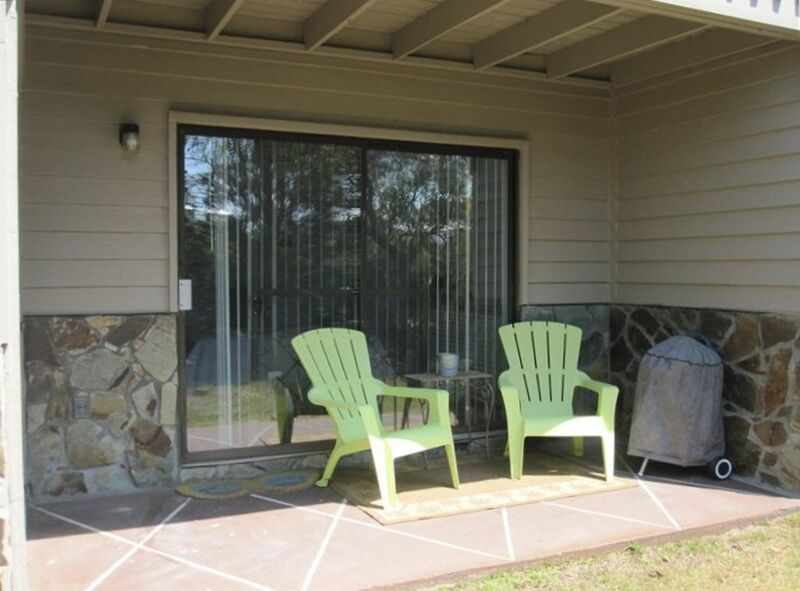 Visit our VRBO page for rates, availability, and more info. Peace, harmony and spiritual regrowth await you and those close to your heart. Twenty-Three Palms just as the Twenty-Third Psalm promises, is a place beside still and restful waters! 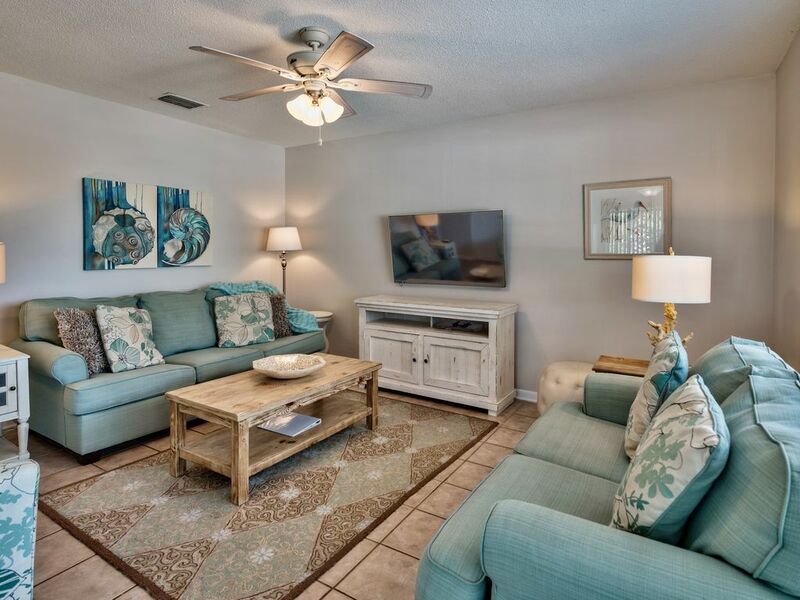 As you step in unit 12B in beautiful Beach Colony on Navarre Beach, you’ll love the color…subdued, yet with a pop of color. 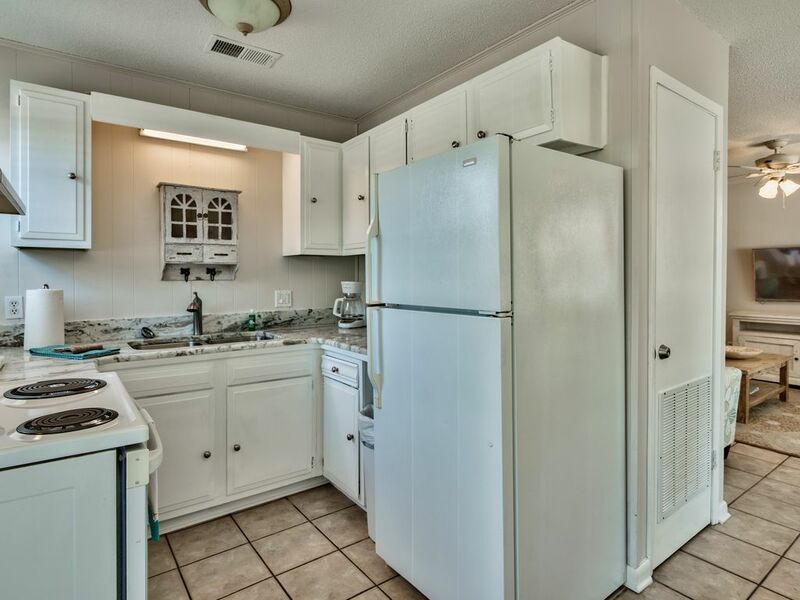 This 2bedroom/2bath unit is very nicely decorated with lots of space. You’ll immediately notice the stunning views from the floor to ceiling windows overlooking the Gulf of Mexico. Beach Colony sports some of the largest balconies on Navarre Beach so sit outside and relax and watch the dolphins play! If you ever tire from the views, step inside and enjoy a large flat screen TV in the main living area and each of the two bedrooms. Beach Colony has a fitness facility and tennis courts for the active and for those who simply want to relax, the beach is steps away. This is a home you’ll want to return to again and again. 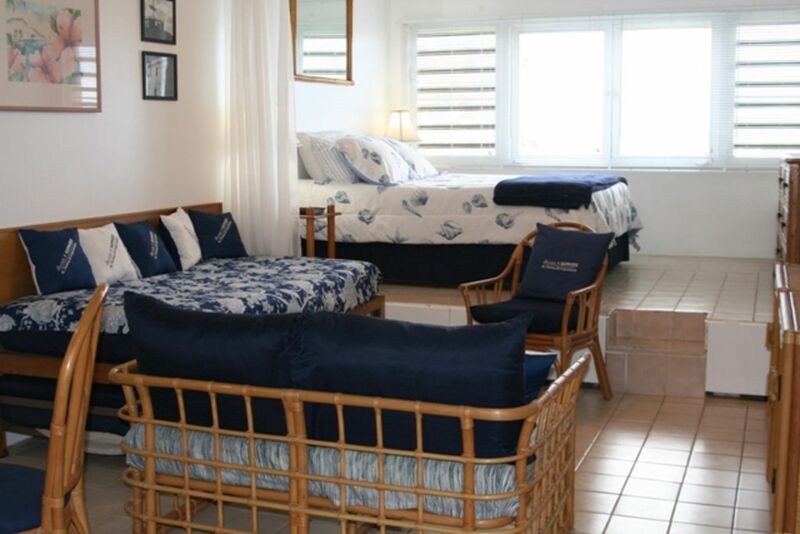 Come and stay at our cozy beach cottage! 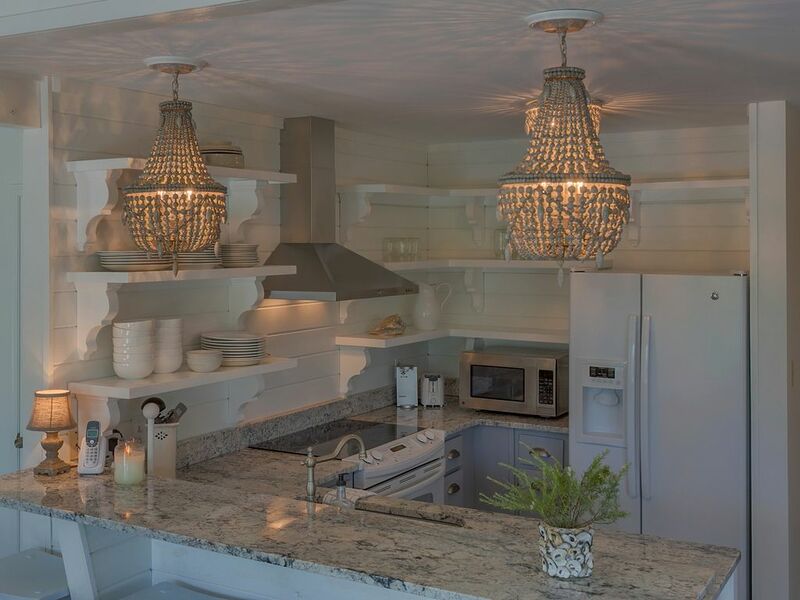 At just under 800sq ft, SWEET PEA, located in the Laguna Beach area of beautiful Panama City Beach, awaits your dreams. 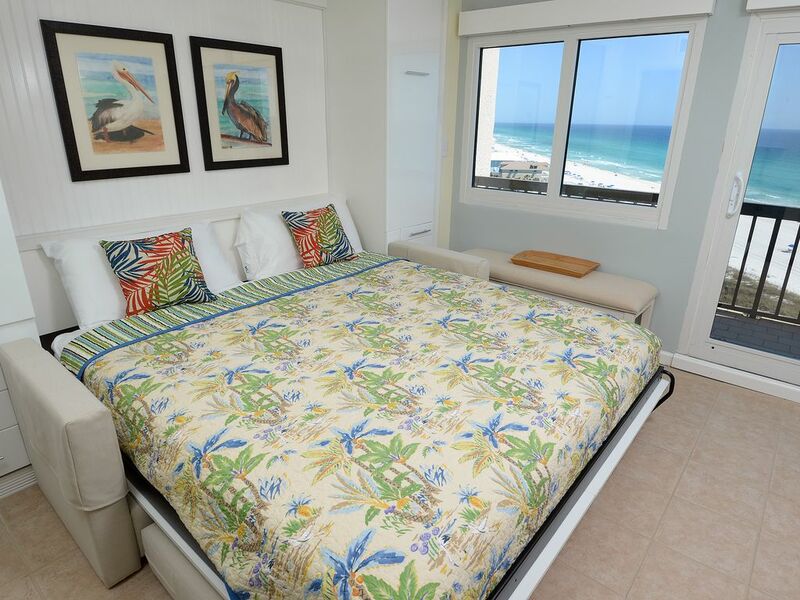 The queen sized bed and the pull out futon in the living room sleeps 2-4 beach goers. 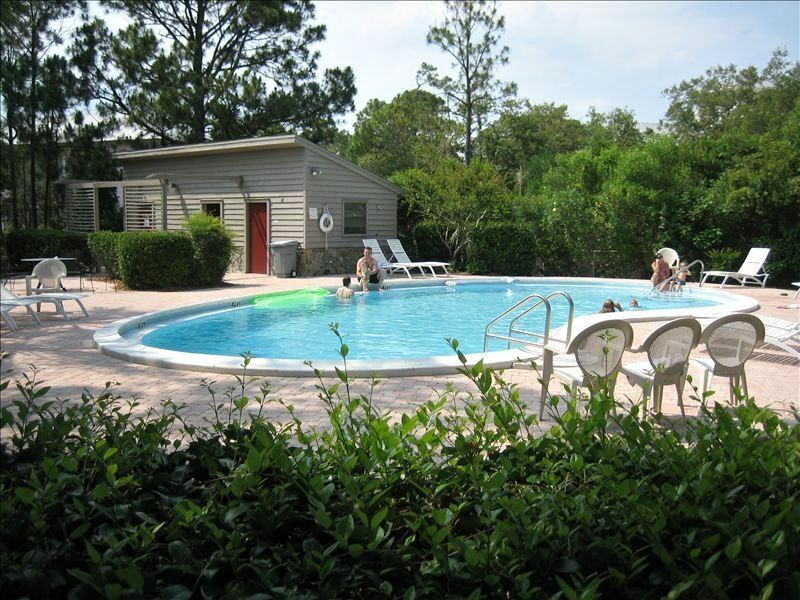 This gem is literally a few minute walk to the endless white sand beach of the Gulf of Mexico. Come and be dazzled!